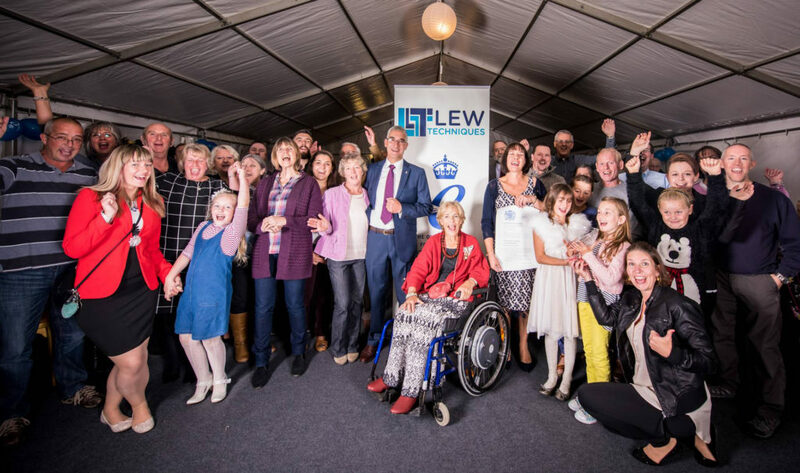 LEW Techniques welcomed Mrs Annie Maw, Her Majesty the Queen’s Lord-Lieutenant of Somerset, Deputy Lord-Lieutenant, Mr Robert Drewett and Mrs Maw’s assistant, Lady Stansfield Smith, to an open evening and party with staff, families and friends to celebrate the formal presentation of the Queen’s Award for Enterprise in International trade. The formal presentation followed on from the initial announcement of the award made earlier in the year on behalf of Her Majesty the Queen. The evening started with tours of the factory, led by staff showing guests, families and friends around the manufacturing areas, cleanrooms, laboratories and offices. Much explaining was necessary as most of the parts made at the factory need a microscope to appreciate the detail and precision involved. It was a chance for the staff to show and describe the things they do to a generally very impressed audience. Everyone then gathered for the formal presentation and speeches. 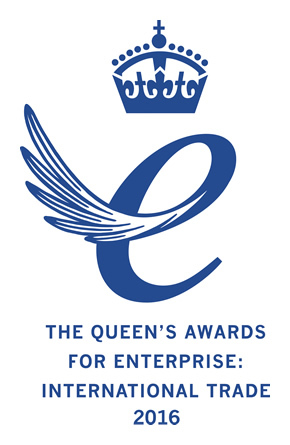 Andrew Walker, Technical director and co-owner, introduced the guests and gave some insights into the company’s experience of the Queens Award process. 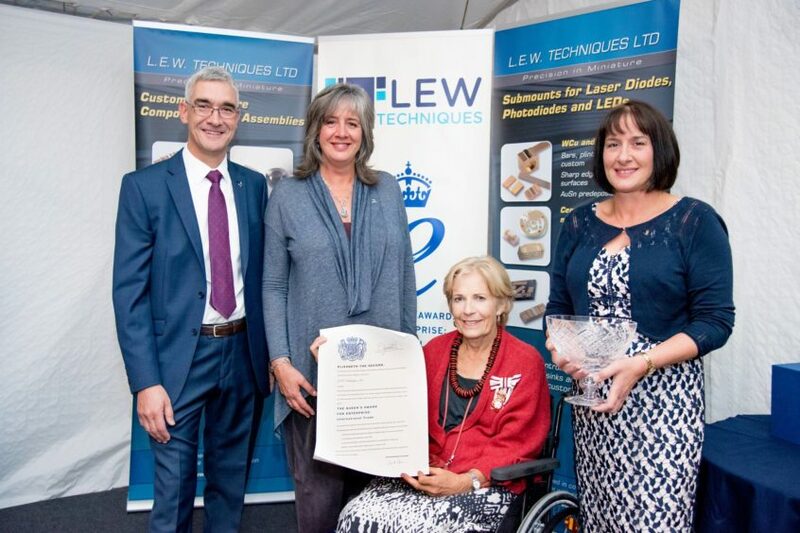 Robbie Drewett, Deputy Lord-Lieutenant, read the citation from the Queen, and Mrs Maw then presented an engraved crystal bowl to Andrew Walker, along with his sisters, Elaine Moll and Carol Walker, the managing co-owners of the business. Mrs Maw commented that she was impressed by the incredibly technical and intricate work being undertaken at the company and that the parts made and the processes used were probably “magic”. Mr Walker rounded off the presentation by thanking the guests and the staff for their dedication and hard work over the previous three years and acknowledging that winning the Queen’s award was a company-wide achievement. The evening concluded with a celebration meal and drinks and a chance for everyone to catch up with staff’s friends, families and other guests.